Spring is a time of new beginnings, hope, beauty, and a fresh start. After this crazy week I am so ready for it! 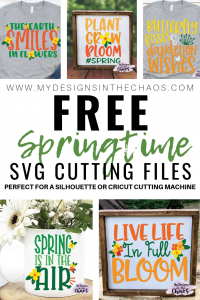 I know these free spring SVG files will be just what you need to get out of the winter blues. This week our website went down and a polar vortex encapsulated the country. These designs will bring a glimmer of light into your world and remind you about the beautiful spring weather to come! As a reminder we allow all of our files to be used for commercial or personal use up to 200 uses. We do request that you do not distribute these files. Please direct people directly to our site to download for themselves! We don’t allow our files to be digitized or sold on print on demand shops like Amazon Merch or Printful. 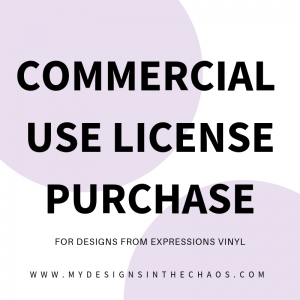 If you are interested in additional licensing for one of these free spring svg files , please feel free to reach out. Thanks for understanding. Now… onward to the cute SVG designs! PLEASE NOTE THAT THERE ARE AFFILIATE LINKS IN THE POST. THAT MEANS AT NO EXTRA COST TO YOU WE EARN A SMALL PERCENTAGE IF YOU SHOP THROUGH OUR LINKS. THANKS! I thought that this design would love great in a farmhouse frame. If you want to learn how to create your own frame for super cheap check out this post. 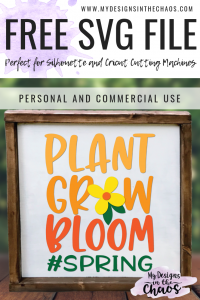 With wood signs like pictured below you can either use adhesive vinyl or oramask as a stencil and paint your design on. HTV even works great… so really the options are endless. We outline exactly all the differences between those types of vinyl over here. I can see this being the most adorable design with some spring patterned HTV on a shirt for a little girl. Just a reminder that all of our files come in both the file formats of SVG and PNG. (They also come in DXF, and EPS) We wrote all about the differences between the two files and when to use what here. This mock up that I found over on Design Bundles was screaming for a fun spring design. When putting vinyl on a coffee cup I love to use this paper transfer tape. It makes it super easy to apply every single time. 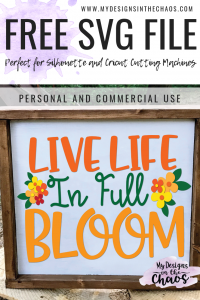 This design was just a word of encouragement that you can put on a sign, mug, or just print out and hang up to remind you to live each day to it’s fullest. I can even see it looking awesome on a shadow box. Kind of how we created this Christmas sign but instead of the snow use some paper flowers on the inside! We are so grateful that you are here. Before you download the files below please take a moment to pin your favorite one (or two) from above. Your continued support helps us continue to provide quality content for FREE! Please note that these are zipped files and will need to be extracted before you are able to access the SVG file. Check out exactly how to unzip and extract the file here. 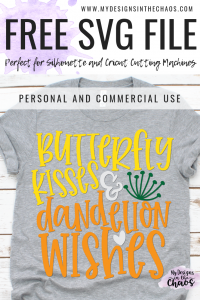 If you don’t see exactly what you are looking for here, check out our shop for more adorable spring designs. I think my favorite is the bunny monogram frame! Make sure to let your crafting bestie know about these freebies and as always if you have a specific theme you are looking for let us know. While we don’t take custom requests we always work from a suggestion list. ‘Til next time happy crafting, cutting, and chaos! 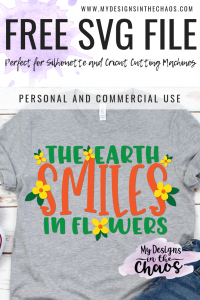 Your Springtime collection made me smile! 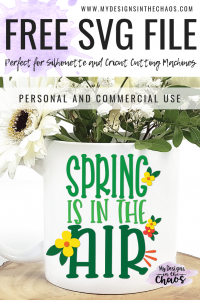 I am SO OVER this frigid weather…and you brought on Spring! Thank you, I love them all!!! Me too! Can’t wait to see what you create! I am going to use this in my classroom! Perhaps as a bulletin board! Yay! That will be adorable! Can’t wait to see it! Oh my, I’m loving your springtime collection. Dandelion wishes is so cute. Thank you for sharing. Gotta get a shirt to put it on.